Greetings from Tixilo! 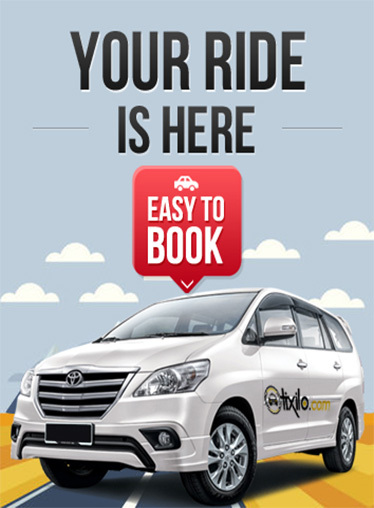 Being one of the fastest growing cab rental service in India, Tixilo has started its cab services in Mumbai. With complete knowledge about the city of dreams, we have come up with one of a kind cab services that are both economical and efficient. Our reliable services make it easy for both tourists as well as localities to reach their destination in comfort. Why to choose a Tixilo cab in Mumbai? Scores of people land in Mumbai every day. Each of them has a different business to be in the city, while some end up in the city to make their dreams come true, some are travelers who like to explore the beauties of the city. Whatever may be their reason, the one thing that they look for is comfortable transport. While most people travel through the Metros, they are not very convenient and comfortable. Tixilo cab rentals offers an affordable solution to address these problems. Tixilo provides cab rental services that make it easy for you to traverse within the city with great comfort. All our cabs are handled by licensed drivers who have expertise in handling the vehicle. To ensure customer safety, we keep all our vehicles in excellent condition. We also provide one-way car rental services. Another appealing benefit offered by Tixilo is its fleet of vehicles. We cater to all types of customer requirements and thus we have 4 seaters to 8 seaters to fit-in according to customer requirement. We provide flexible local and outstation packages for cab rental in Mumbai. We provide hourly charges for local travel with a base charge for every kilometer travelled.